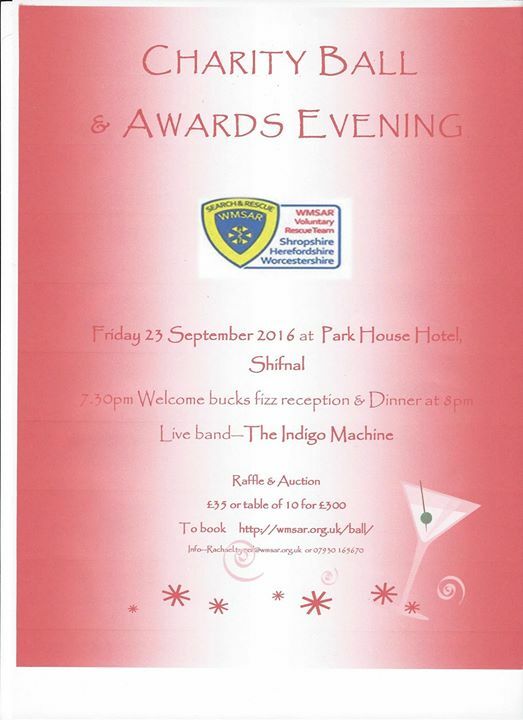 2016 will lauch our first ever Charity Ball and Awards & Celebration Evening. Our main goal is to raise much needed funds for our new premises in Shifnal. But we also want to have a fun evening and have lined up a fab menu with a great band, The Indigo Machine. We are also going to share with you the hard work carried out by our volunteers and supporters. Finally, a chance for local business to obtain well deserved recognition for their continued support. There will be a raffle and silent auction. Tickets are 35 each or a table of 10 for £300.